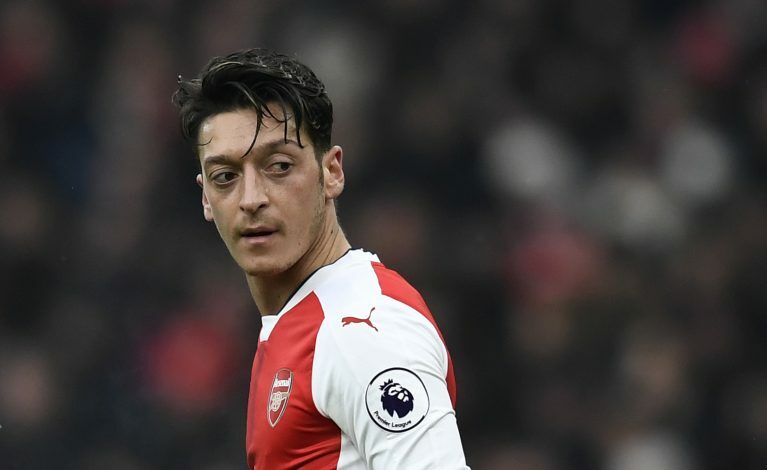 Mesut Ozil thinks he is now being made the scapegoat for Arsenal’s poor run performances, that’s according to his agent. Arsene Wenger came under intense pressure to drop the 28-year-old German ahead of Arsenal’s Champions League Round of 16 first leg tie against Bayern Munich. Wenger didn’t drop Ozil, but he was surprisingly ineffectual like his teammates in a pathetic Arsenal display, as the Gunners suffered a humiliating 5-1 defeat. “Criticism is normal if a player plays badly,” Dr Erkut Sogut told BBC Sport. Sogut also questioned why Ozil had to go under so much criticism when Bayern Munich enjoyed 74% possession in the match. “How can someone in the No.10 position create chances if you don’t have the ball?” he added. There have been rumors going on that Mesut Ozil’s representatives have suddenly stalled over talks to extend his contract at the Emirates, but Sogut straightaway denied that was the case, rather claimed his client was happy at the club despite the increased speculation.